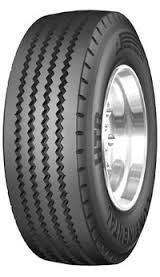 Multiple-rib tread design features excellent wet traction and lateral stability. High ply ratings provide durability for long casing life and multiple rettreads. See through grooves aid in water evacuation providing excellent wet traction.